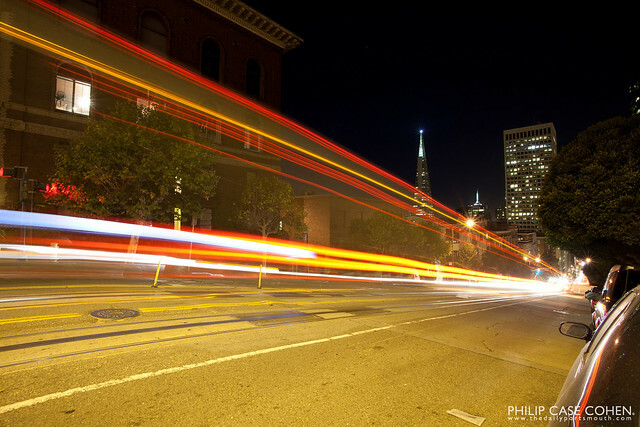 During our visit in San Francisco, I wanted to get out for at least a couple adventures. The evening walk that my brother Dave and I went on ended up bringing us down around the financial district and the Transamerica Pyramid that I featured a couple weeks back. We enjoyed a stroll around the area on a late summer evening, with the typical business meetings/dinners going on and plenty of foot and road traffic to be captured. As we were about to head home…we decided that we were too close to the water not to make a stop. Thankfully, the Bay Bridge (which connects San Francisco to Oakland) was beautifully lit in the late evening air over the water. This has been one of the favorites that people seem to gravitate to of all the shots from my trip. 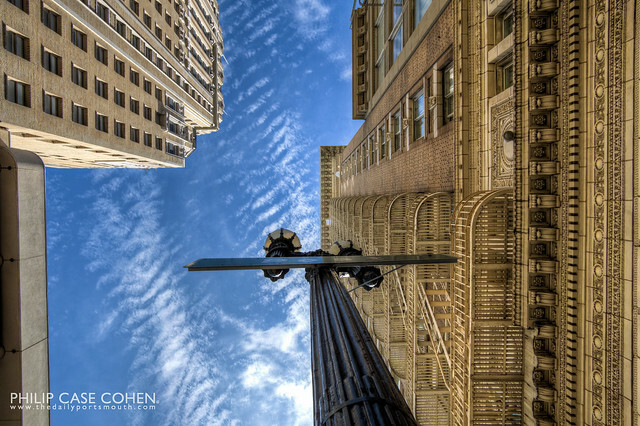 One of my favorites from the trip was taken a few minutes later, featuring one of the office towers of Embarcadero Center in the Financial District. Once again, I was fortunate to venture out in time to catch a beautiful sunrise. As you saw earlier in the week – this time it was atop the Marin Headlands on the north side of the Golden Gate Bridge in San Francisco. The shot above was snapped before the sun rose over the horizon line – and the street lights were still lit on the bridge. 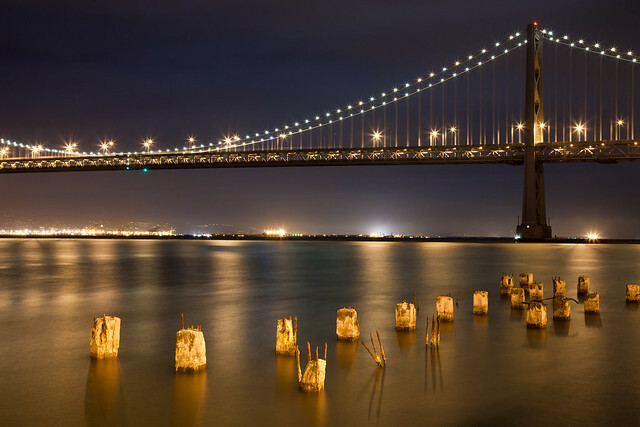 It gives the rich red colors of the bridge an eerie and almost ominous glow. 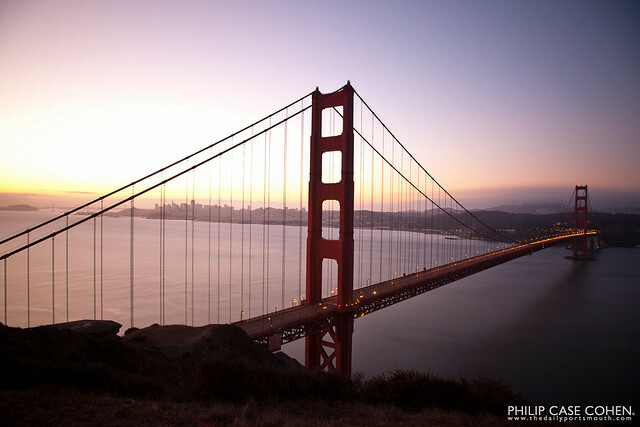 Contrasting against the strong darker colors of the early dawn light, the shot below was snapped once the sun reached above the horizon to the left of the bridge. 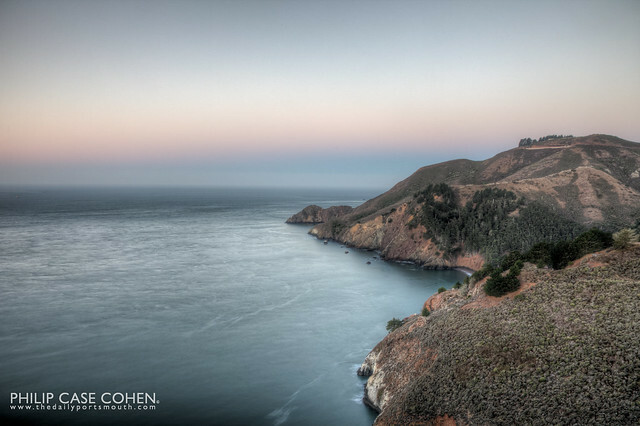 The water vista is to the immediate right of the bridge shots…in an area known as the Marin Headlands. The softer pastel colors and the rolling coastal hills are such a cool contrast against the massive man made accomplishment of the bridge. On our last day in San Francisco, I was able to convince my brothers to venture up to the Marin Headlands for sunrise. I had been hoping for some fog to add some character to the scene….but once we set up camp I was happy that we had clear skies. The bridge is such an awesome sight, and someone was kind enough to allow some paved roads on the high grounds north of the city so that lazy folks like us can drive up first thing and walk out to see the sun’s first rays over this feat of architecture. I was also determined to get some good shots with my neutral density (ND) filter….which lead to some serious headaches as I fumbled about and tried to move swiftly with the early morning light coming up over the horizon. The trouble with an ND filter is that the exposures become incredibly long. The filter I was using is a “10-stop”, which basically lets a magnitude of 10x less light through the lens….so basically you need a much longer amount of time to create the image by letting light reach the camera’s sensor. 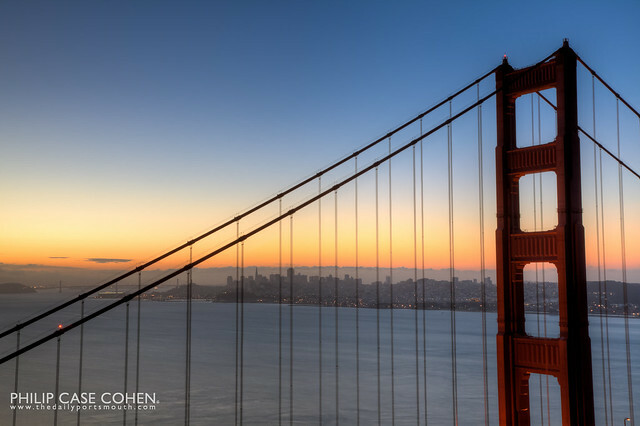 While I didn’t come away with any show stoppers from the morning, I was happy that I tried to learn while out on what might be my last Golden Gate sunrise shoot…at least for a long time. I like this shot for the pastels, the incredible subject and the almost antique look. More shots to follow, be sure to check back in on Sunday for a couple of my favorite shots from the morning’s bounty. 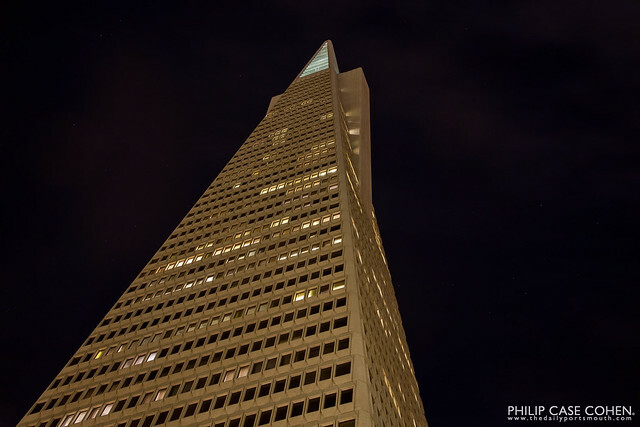 The Transamerica Pyramid is loved and hated pretty intensely. 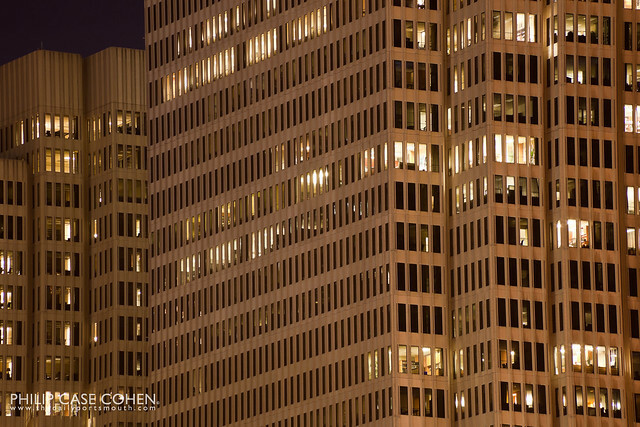 The building was originally constructed in 1969-1972 and is easily the most recognizable and the tallest skyscraper in San Francisco, and drastically changed the skyline when it was finished. You can see it from many places throughout the city – as you can see from the evening shot from afar above…and the sheer scale of the building as taken from the base (shown below). I happen to enjoy the building, but it’s definitely not my favorite of the city. 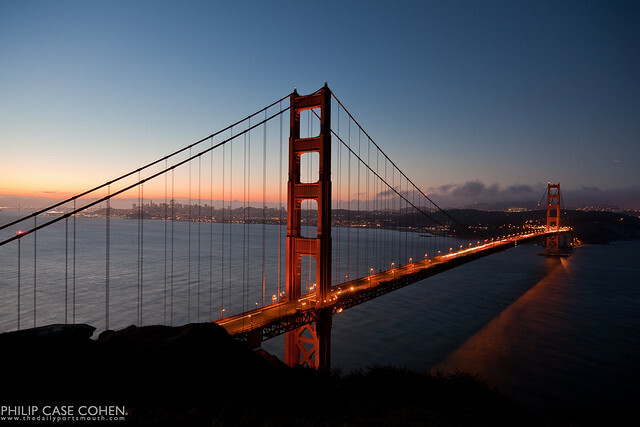 While I’m featuring shots of San Francisco…it would be a crime to leave this one out. What are your thoughts? I’ve got ambitious plans to head out at sunrise to shoot another icon. Looking forward to the early dawn light. 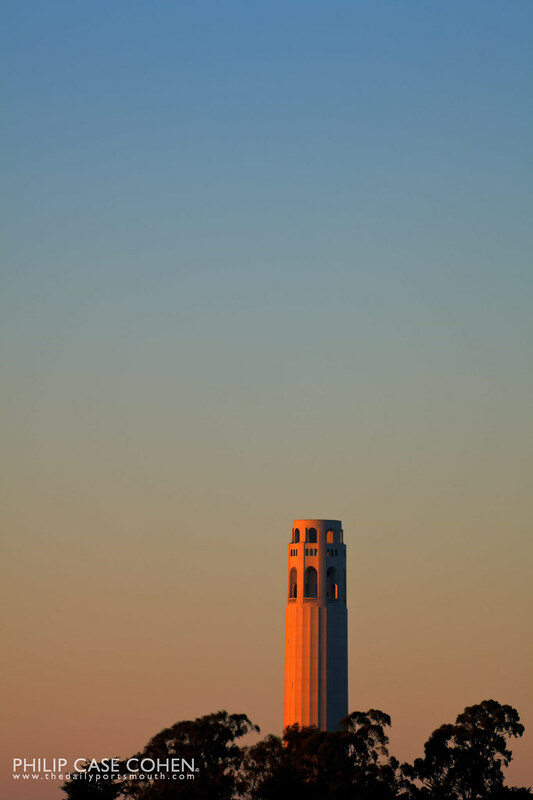 Another San Francisco icon – Coit Tower on Telegraph Hill. 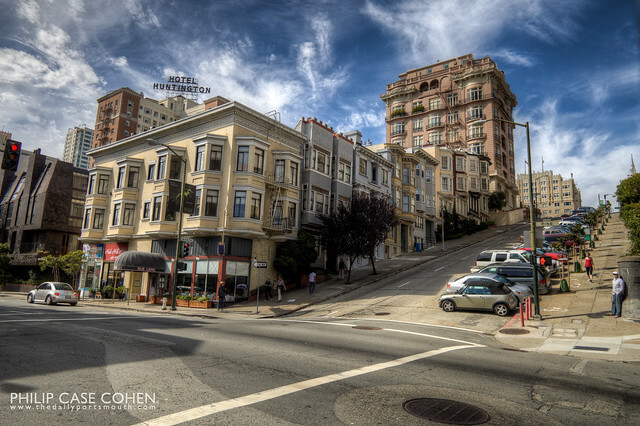 The 210 foot tower sits atop the affluent neighborhood – with the land gifted to the city in the early 1900s by a wealthy socialite who enjoyed chasing fires (according to Wikipedia), Lillie Coit. The tower is a monument to the city’s firefighters, who took on special meaning after the intense fires that followed the 1906 earthquake. I’ll share this little tidbit of info from wikipedia, mostly because I found it quite entertaining: “Lillie Coit was one of the more eccentric characters in the history of North Beach and Telegraph Hill, smoking cigars and wearing trousers long before it was socially acceptable for women to do so. She was an avid gambler and often dressed like a man in order to gamble in the males-only establishments that dotted North Beach. Coit was reputed to have shaved her head so her wigs would fit better.” Whatever the history and whatever Lillie’s true habits were, the tower is a gorgeous addition to the SF skyline.